An 8th grade talent show at Edison Junior High in 1958 proved to be the beginning of a musical career for four teenagers. 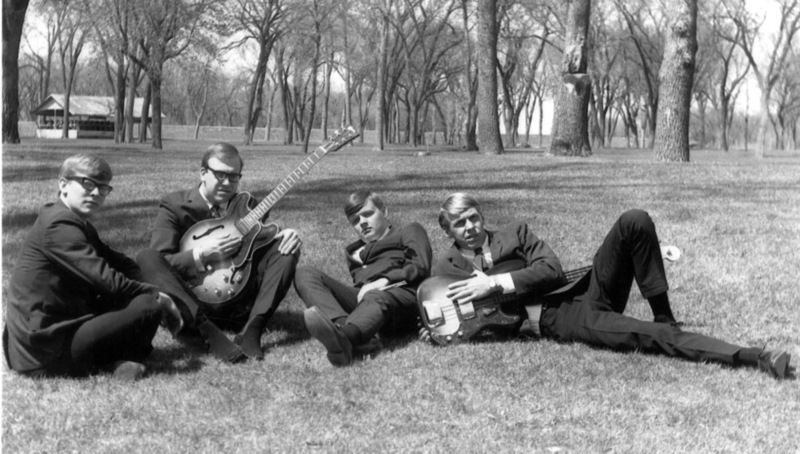 They called themselves the Jades and the band personnel included Tim Moratzka, Butch Noteboom, Edgar Borgers and Wally Doolittle. The next year they were students at Washington High School and continued to perfect their skills. They played at area ballrooms and dance halls including The Arkota Ballroom, The Dell Rapids Pavilion, Shore Acres, The Roof Garden, The Cobblestone and many more. They went from singing four part vocals in junior high to rock and roll mixed in with rock-a-billy. Dennis White was added to play tenor sax with Rich Stevenson on the drums. Bass guitarist Greg Week joined Tim and Butch on guitars. As their popularity exploded the now named Jadesmen traveled throughout Iowa, Minnesota and South Dakota. They were the opening act for such stars as Jerry Lee Lewis, Duane Eddy, The Everly Brothers, Freddy Cannon and others. After high school the band continued at Augustana College. There were some changes in personnel but the guys settled in with Tim, Bruce Halverson on bass guitar, "Skip" Engle on keyboards and Reuben Hanson playing drums. They expanded their territory and traveled extensively throughout Mid-western America. After their college days came to close the members split to pursue individual professional careers. But in 1998 they reunited and added Jon Tynjala on tenor sax and Nancy Halverson and Kariann Gottesman on vocals. They recorded a CD in 2002 and added a second CD in spring of 2009. Several times a year the members reunite to entertain audiences in the Midwest. These 2009 inductees prove you are never to old to rock as they continue to make great music.